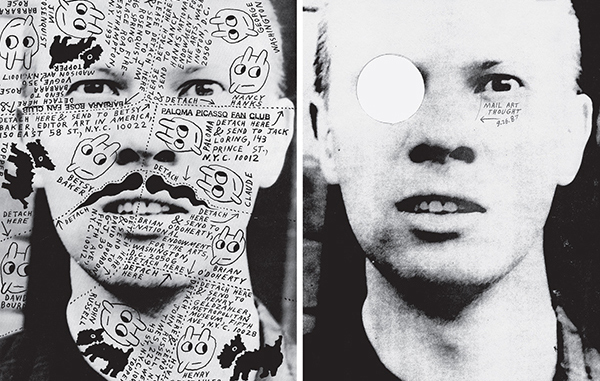 Ray Johnson (1927-1995) was a seminal Pop Art figure in the 1950s, an early conceptualist, and a pioneer of mail art. 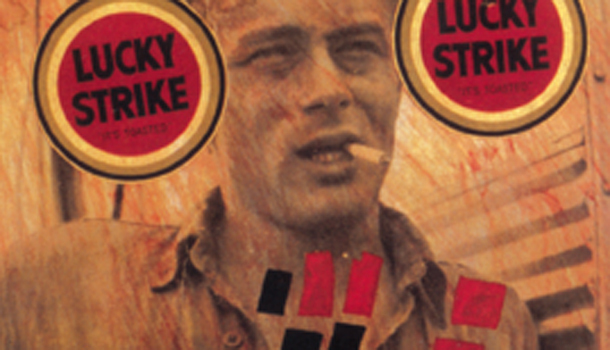 His preferred medium was collage, that quintessentially twentieth-century art form that reflects the increased (as the century wore on) collision of disparate visual and verbal information that bombards modern man. Integrating texts and images drawn from a multiplicity of sources — from mass media to telephone conversations — Johnson’s innovativeness spread beyond the confines of the purely visual. 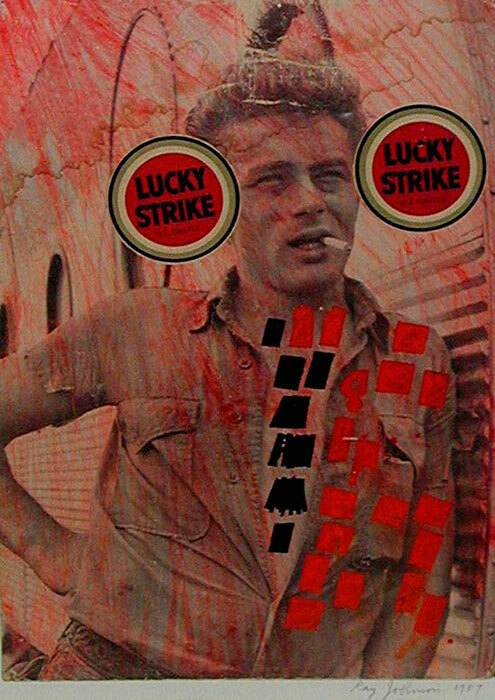 He staged what Suzi Gablik described in Pop Art Redefined as perhaps the “first informal happening” and moved into mail art, artist books, graphic design, and sculpture, working in all modes simultaneously. Johnson not only operated in what Rauschenberg famously called “the gap between art and life,” but he also erased the distinction between them. His entire being – a reflection of his obsessively creative mind – was actually one continuous “work of art.” His works reflect his encyclopedic erudition, his promiscuous range of interests, and an uncanny proto-Google ability to discover connections between a myriad of images, facts and people. In 1958, Johnson was already recognized as part of the nascent Pop generation. 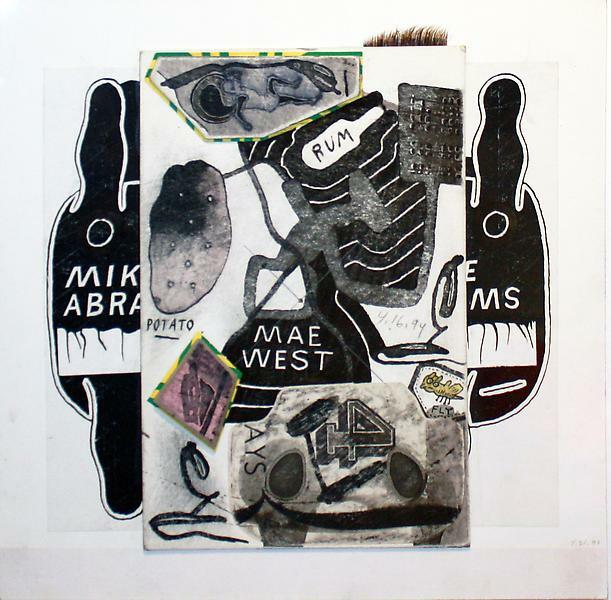 In a review of a Jasper Johns’ exhibition, a critic for ARTnews stated: “Johns’ first one-man show (…) places him with such better-known colleagues as Rauschenberg, Twombly, Kaprow and Ray Johnson.” Around 1959, Johnson met Billy Linich (later known as Billy Name) at New York’s Serendipity, and in 1963 Johnson introduced him to Warhol. Billy Name became a key figure at Warhol’s Factory, responsible for covering the Factory walls with silver, which resulted from Johnson bringing Warhol to Name’s similarly silver-covered apartment. 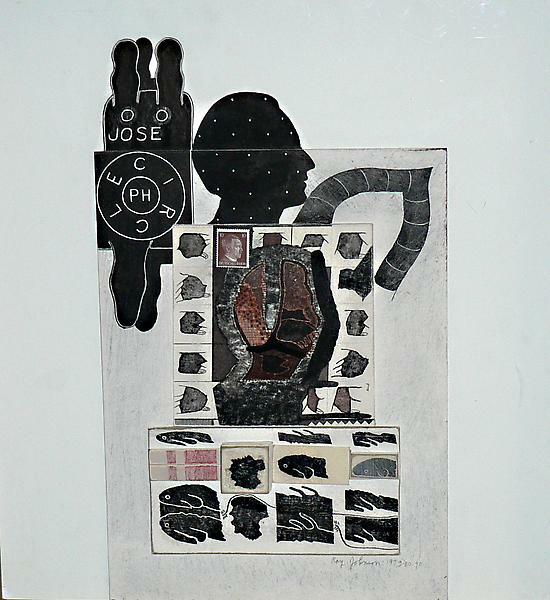 Throughout the early stage of his career and spanning its duration, Johnson sought out the random and the ephemeral, incorporating chance operations into his artistic practice with “mail art.” He gradually built up an informal, hybrid network of friends, acquaintances, and strangers with whom he exchanged ideas and artworks by means of the postal system. By 1958, he began to write, “Please send to…” on his mailings, thereby creating even more sub-networks among the hundreds of correspondents in his greater mail art organization. By 1962, when it was named the “New York Correspondance [sic] School,” his virtual “school” of correspondents had become a network for a web of communication by mail that eventually spread across the nation and around the globe. On April 1, 1968, the first of the meeting of the New York Correspondance School was held at the Society of Friends Meeting House on Rutherford Place in New York City. Johnson called two more meetings in the following weeks, including the Seating-Meeting at New York’s Finch College, about which John Gruen reported: “It was . . . attended by many artists and ‘members’ . . . all of whom sat around wondering when the meeting would start. It never did . . . people wrote things on bits of paper, on a blackboard, or simply talked. It was all strangely meaningless — and strangely meaningful.” Until his death, Johnson continued to mail out an extraordinary quantity of material, including elements of chopped-up collages; drawings with instructions (“please add to and return…”); found objects; snakeskins; plastic forks; and annotated newspaper clippings, to name only a few. To Johnson, “art” rejected physical limitations, the restraints of time, or a single identifiable goal. In this capacity, Johnson privileged inclusivity, deeming anyone and everyone with whom he interacted suitable for creative exchange. On January 13, 1995, Johnson was seen dressed in black diving off a bridge in Sag Harbor, Long Island and backstroking out to sea. Many aspects of his death involved the number “13”: the date, his age, 67 (6+7=13), as well as the room number of a motel he had checked into earlier that day, 247 (2+4+7=13). There was much speculation amongst critics, scholars, admirers, and law-enforcement officials about a “last performance” aspect of Johnson’s drowning. 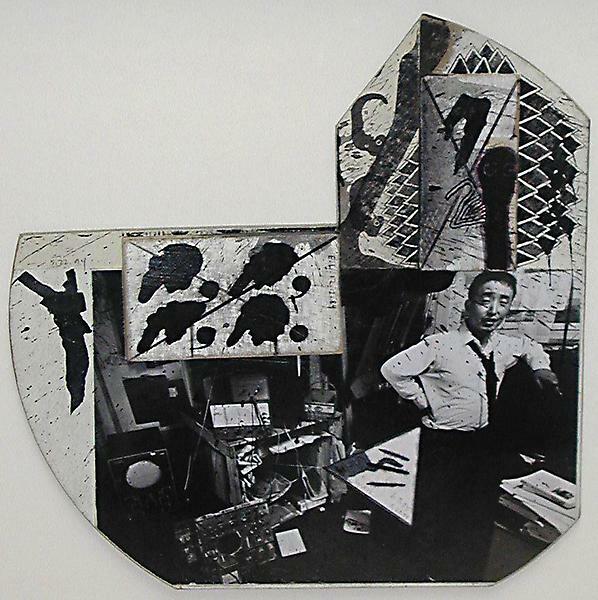 After his death, hundreds of collages were found carefully arranged in his Long Island home. A retrospective at the Whitney Museum of American Art (1999), which traveled to the Wexner Center for the Arts as well as solo and group shows in the US and abroad, including Paris, London, Oslo, Budapest, and Barcelona, began the process of re-introducing Johnson’s work to a broader audience. Johnson is considered one of the major artistic innovators of the second-half of the 20th century within the critical community but his work remains underexposed and underappreciated by the general public. Following Johnson’s suicide, filmmakers Andrew Moore and John Walter, with the support and oversight of Frances Beatty, Vice-President of Richard L. Feigen & Co. and director of the Ray Johnson Estate, spent six years probing the mysteries of Johnson’s life and art. Their collaboration yielded the award-winning documentary, How To Draw a Bunny, released in 2003. How To Draw a Bunny examines Johnson’s life, art, his ambivalent attitude towards fame, and finally his mysterious death. The film includes interviews with artists Chuck Close, James Rosenquist, Billy Name, Christo and Jeanne-Claude, and the founder of The Living Theatre, Judith Malina, among many others. A decade after his death, the network of mail artists continues to grow, numbering in the thousands of general correspondents. Although Johnson’s death left many questions, his life’s work is evidence of a powerful and original sensibility unique in the history of Modern Art. Richard L. Feigen & Co. represents the Ray Johnson Estate. REGARDING SUSAN SONTAG is an intimate and nuanced investigation into the life of one of the most influential and provocative thinkers of the 20th century. Passionate and gracefully outspoken throughout her career, Susan Sontag became one of the most important literary, political and feminist icons of her generation. The documentary explores Sontag’s life through evocative experimental images, archival materials, accounts from friends, family, colleagues, and lovers, as well as her own words, read by actress Patricia Clarkson. From her early infatuation with books and her first experience in a gay bar; from her marriage in adolescence to her last lover, REGARDING SUSAN SONTAG is a fascinating look at a towering cultural critic and writer whose works on photography, war, illness, and terrorism still resonate today. 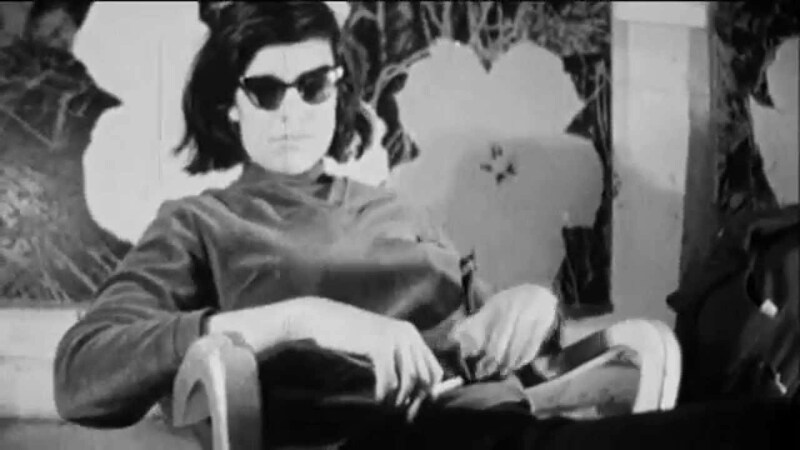 More than any other thinker of her day, Sontag was watched, viewed, photographed and stared at. 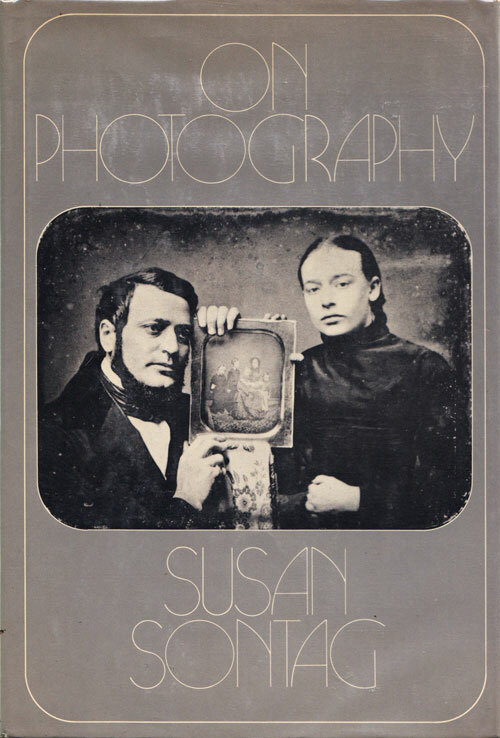 She was gazed at, and she looked back, very carefully, particularly at language and metaphor and at photography and what she called “the ecology of images.” REGARDING SUSAN SONTAG gives viewers the chance to watch Sontag while she examines the world. REGARDING SUSAN SONTAG has been made in partnership with HBO Documentary Films. Susan Sontag was born in New York City on January 16, 1933, grew up in Tucson, Arizona, and attended high school in Los Angeles. She received her B.A. from the College of the University of Chicago and did graduate work in philosophy, literature, and theology at Harvard University and Saint Anne’s College, Oxford. Her books, all published by Farrar, Straus & Giroux, include four novels, The Benefactor, Death Kit, The Volcano Lover, and In America; a collection of short stories, I, etcetera; several plays, including Alice in Bed and Lady from the Sea; and nine works of nonfiction, starting with Against Interpretation and including On Photography, Illness as Metaphor, Where the Stress Falls, Regarding the Pain of Others, and At the Same Time. In 1982, FSG published A Susan Sontag Reader. Ms. Sontag wrote and directed four feature-length films: Duet for Cannibals (1969) and Brother Carl (1971), both in Sweden; Promised Lands (1974), made in Israel during the war of October 1973; and Unguided Tour (1983), from her short story of the same name, made in Italy. Her play Alice in Bed has had productions in the United States, Mexico, Germany, and Holland. Another play, Lady from the Sea, has been produced in Italy, France, Switzerland, Germany, and Korea. Ms. Sontag also directed plays in the United States and Europe, including a staging of Beckett’s Waiting for Godot in the summer of 1993 in besieged Sarajevo, where she spent much of the time between early 1993 and 1996 and was made an honorary citizen of the city. A human rights activist for more than two decades, Ms. Sontag served from 1987 to 1989 as president of the American Center of PEN, the international writers’ organization dedicated to freedom of expression and the advancement of literature, from which platform she led a number of campaigns on behalf of persecuted and imprisoned writers. 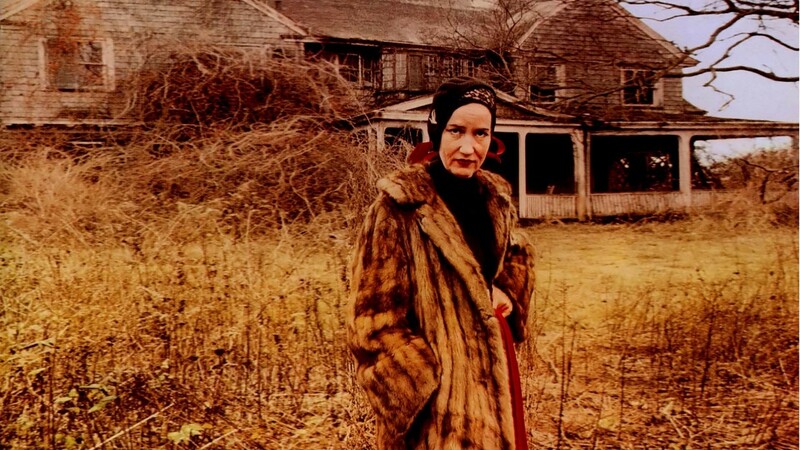 Her stories and essays appeared in newspapers, magazines, and literary publications all over the world, including The New York Times, The New Yorker, The New York Review of Books, The Times Literary Supplement, Art in America, Antaeus, Parnassus, The Threepenny Review, The Nation, and Granta. 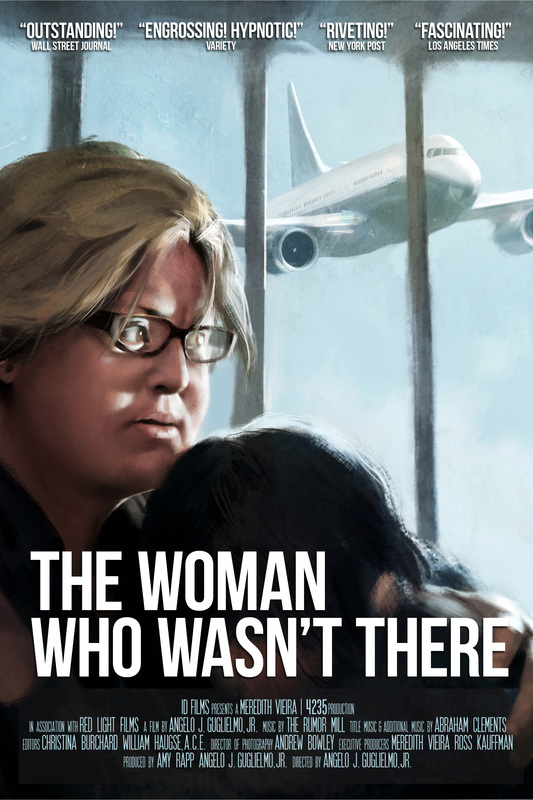 Her books have been translated into thirty-two languages. 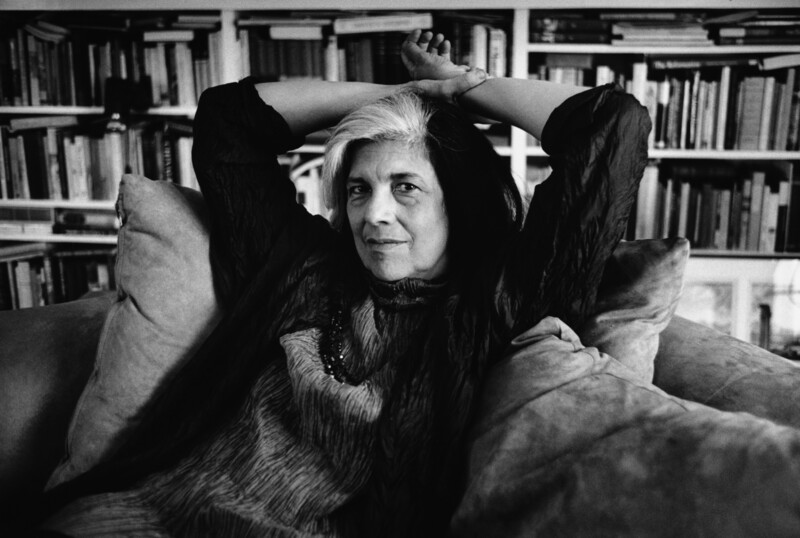 Among Ms. Sontag’s many honors are the 2003 Peace Prize of the German Book Trade, the 2003 Prince of Asturias Prize, the 2001 Jerusalem Prize, the National Book Award for In America (2000), and the National Book Critics Circle Award for On Photography (1978). In 1992 she received the Malaparte Prize in Italy, and in 1999 she was named a Commandeur de l’Ordre des Arts et des Lettres by the French government (she had been named an Officier in the same order in 1984). 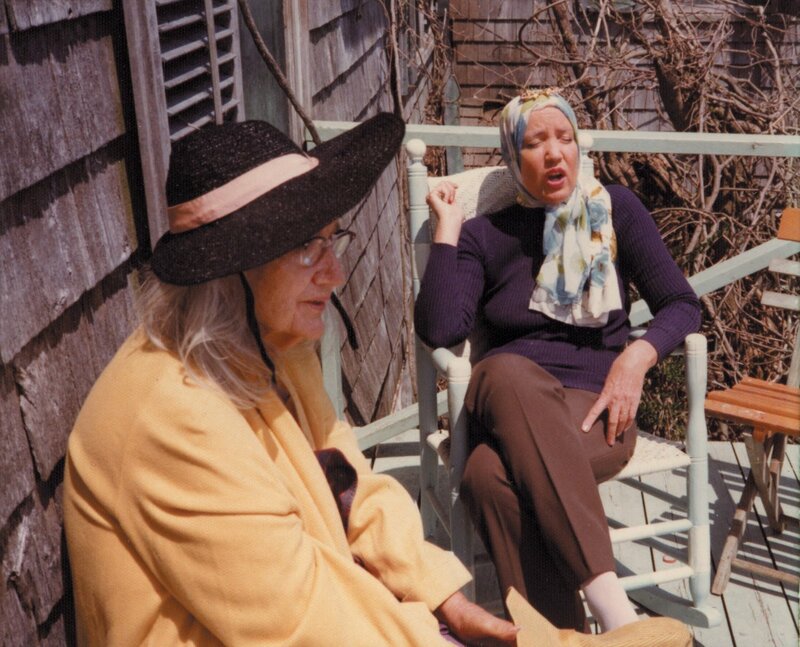 Between 1990 and 1995 she was a MacArthur Fellow. Ms. Sontag died in New York City on December 28, 2004. Produced by Martin Scorsese and Robert Greenhut and directed by Arne Glimcher, PICASSO AND BRAQUE GO TO THE MOVIES is a cinematic tour through the effects of the technological revolution, specifically the invention of aviation, the creation of cinema and their interdependent influence on artists Pablo Picasso and Georges Braque. With narration by Scorsese and interviews with art scholars and artists including Chuck Close, Julian Schnabel and Eric Fischl, the film looks at the collision between film and art at the turn of the 20th Century and helps us to realize cinema’s continuing influence on the art of our time.